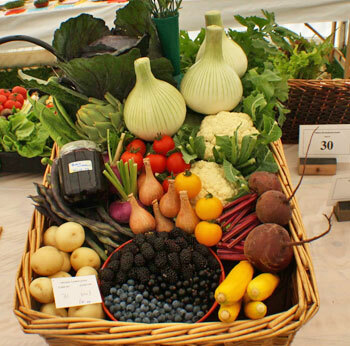 The Society exists to encourage all aspects of gardening within Nailsea and the surrounding districts. It does this by organising flower shows, holding a series of monthly talks on gardening subjects and arranging occasional outings for members to gardens and other places of interest. A spring show is held on the first Saturday in April (except for 2019 when it will be 30 March) and a summer show on the first Saturday in August. The shows are held in Nailsea School, Mizzymead Road, Nailsea. The Society’s monthly gardening talks are held in the United Reformed Church Hall, Stockway North, Nailsea on the second Wednesday in each month. These talks take place in each month except August, when there is a summer break, and November, when the Society holds its Annual General Meeting. These may be found under “Events” at the top of this page, and include the Society’s programme of gardening talks for 2019, and details of the outings arranged during the year. 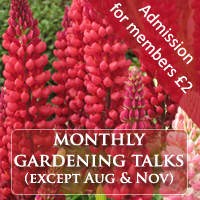 The March and May lecture meetings have had to be swapped; see the Gardening Talks page on this website for details. These may be found under “News & Tips” at the top of this page. Looking for good value gardening supplies? Check out the Nailsea and District Gardeners’ Association at their hut on the Whitesfield Road allotment site. More details under “News & Tips” above.